CNC Milling, Engraving - Stainless Steel, Aluminium, Plastic Engraving | Plasticor Sales Ltd.
Plasticor’s engraving department offers precision milling and engraving on lamicoid, aluminum, engineered plastics and composites, and burnishing on stainless and steel. Our 48″ x 24″ CNC table allows large format engraving and milling with a tolerance of 0.005″ for detailed, logos, text, and graphics. 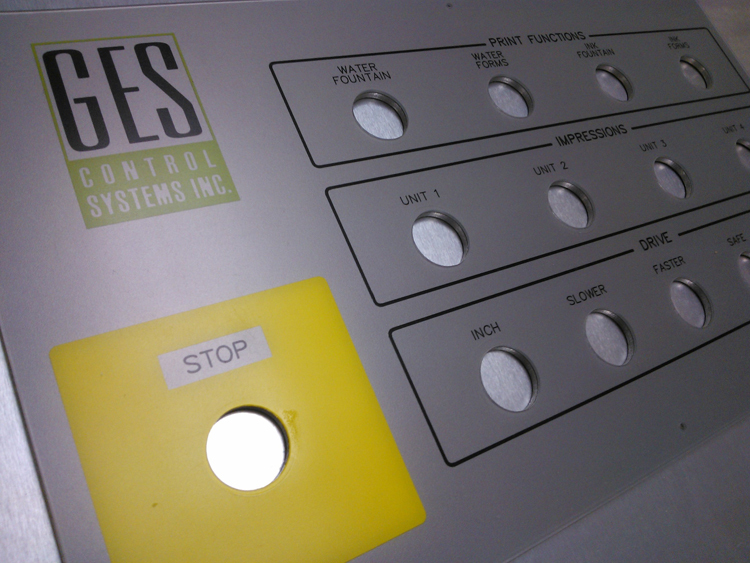 Milled cut-outs for mounting hardware such as pushbuttons, meters, and monitors can be incorporated in virtually any configuration for a fully customized layout. 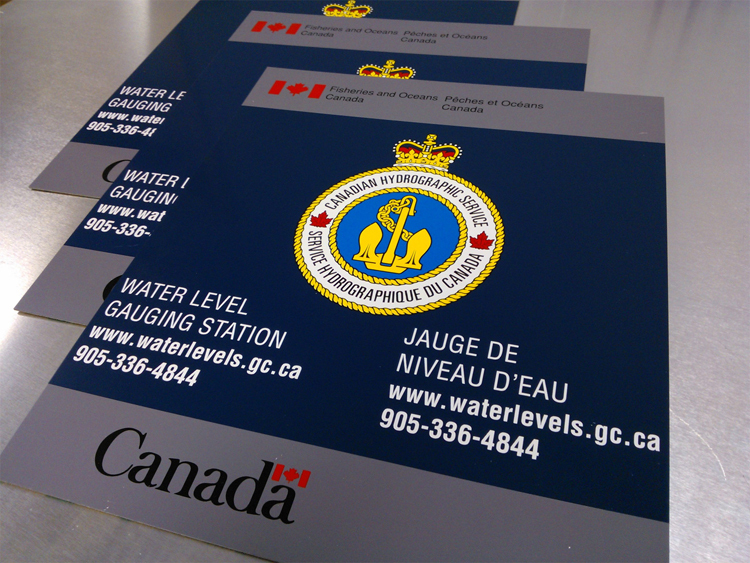 Reverse engraving allows for fully sealed, multi-colour graphics, and a smooth, non-glare, maintenance free finish. Standard engraving lamicoid stocks are available in a large selection of colours and are applicable to wide variety of environments. We can also provide aluminum backing plates up to 0.125″ thick for added rigidity, making a suitable replacement for standard steel painted panel doors. 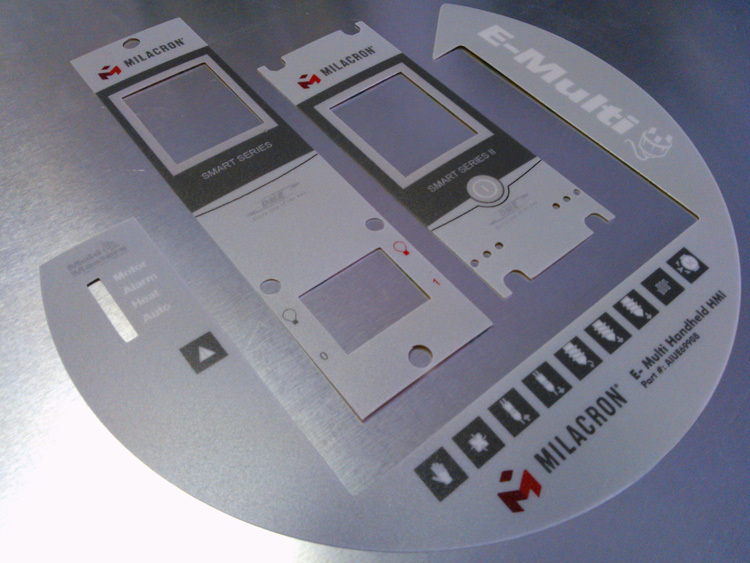 The perfect solution when a custom, rigid panel is required for a low quantity application. We also engrave standard lamicoid and aluminum tags, labels, and nameplates of all kinds. Plasticor manufactures lettering and graphics for virtually any application. 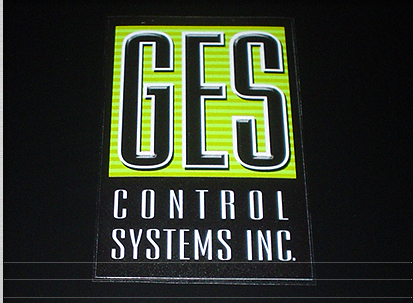 Custom signs, decals, corporate logos, you name it…we probably have a solution! Our screenprinting departments offers durable ink printed products for all applications. Rating plates, panel overlays, tags, labels, decals, stickers, signs, magnets, and more! We can even print on your engineered, powder coated components. A suitable solution when your requirement is for more than 25 pcs. Our digital thermal print department offers short-run, custom options that are perfect for prototyping and specific applications. This method also allows for unique marking as well as consecutive numbering, all done in multi-colour or process printing. Custom, short-run designs with a quick turnaround.